Iran, formerly known as Persia, officially the Islamic Republic of Iran (IRI), is a country in southwestern Eurasia. It is bordered to the northwest by Armenia, the de facto independent Nagorno-Karabakh Republic, and Azerbaijan; with Kazakhstan and Russia across the Caspian Sea; to the northeast by Turkmenistan; to the east by Afghanistan and Pakistan; to the south by the Persian Gulf and the Gulf of Oman; and to the west by Turkey and Iraq. Comprising a land area of 1,648,195 km2 (636,372 sq mi), it is the second-largest nation in the Middle East and the 18th-largest in the world; with 78.4 million inhabitants, Iran is the world's 17th most populous nation. It is the only country that has both a Caspian Sea and Indian Ocean coastline. Iran has long been of geostrategic importance because of its central location in Eurasia and Western Asia, and its proximity to the Strait of Hormuz. The Persian Constitutional Revolution of 1906 established the nation's first parliament, which operated within a constitutional monarchy. Following a coup d'état by the U.K. and the U.S. in 1953, Iran gradually became autocratic. Growing dissent against foreign influence and political repression culminated in the Iranian Revolution, which led to the end of the Imperial State of Iran and the establishment of an Islamic republic on 1 April 1979. Tehran is the capital and largest city, serving as the cultural, commercial, and industrial center of the nation. In Iran every able-bodied male between the ages of 18-35 who isn’t rich or crafty enough to get out of it serves in the army at some point. It’s treated not as a noble calling, but as an annoyance. Anonymous, "How I learned to stop worrying and love the Iranian army", The Guardian (23 July 2015). Iran is home to a diverse range of wildlife, from bears and gazelles to Caspian seals and rare snakes. But the country's wildlife is under severe strain. Urban development and hunting have all but destroyed some of the rare species that once roamed Iran. As many as 120 Iranian breeds are on the International Union for the Conservation of Nature's Red List of Threatened Species. Most famous of these are the Iranian cheetah, of which only 50 still survive, and the Persian leopard, now numbering about 5,000. Siavash Ardalan, "The big business of trophy hunting in Iran", BBC Persian (11 August 2015). We must understand these are not Muslims, they are the son of the Magi and their hostility towards Muslims is an old one, especially with the People of the Tradition (Sunnis). The reason most of my countrymen would tell you that they carry a grudge against the United States is that the U.S. government has given its unconditional support to a monarch who has terrorized a whole nation, plundered its wealth and bought billions of dollars' worth of military equipment which neither he nor our nation knows how to use. We got a leader in Iran who has announced that he wants to destroy Israel. So I've told people that if you're interested in avoiding World War III, it seems like you ought to be interested in preventing them from have the knowledge necessary to make a nuclear weapon. George W. Bush, Press conference (17 October 2007). Where will it [Iran] drop it [the future nuclear bomb], this bomb? On Israel? It would not have gone off 200 meters into the atmosphere before Tehran would be razed to the ground. Iran today is, in a sense, the only country where progressive ideas enjoy a vast constituency. It is there that the ideas that I subscribe to are defended by a majority. Bill Clinton, World Economic Forum in Davos (2005). Iran is the only country in the world, the only one with elections, including the United States, including Israel, including you name it, where the liberals, or the progressives, have won two-thirds to 70 percent of the vote in six elections: two for president; two for the Parliament, the Majlis; two for the mayoralties. In every single election, the guys I identify with got two-thirds to 70 percent of the vote. There is no other country in the world I can say that about, certainly not my own. Bill Clinton, interview with Charlie Rose (2005). I want the Iranians to know that if I'm the president, we will attack Iran [if it attacks Israel]. In the next 10 years, during which they might foolishly consider launching an attack on Israel, we would be able to totally obliterate them. That's a terrible thing to say but those people who run Iran need to understand that because that perhaps will deter them from doing something that would be reckless, foolish and tragic. Saudi Arabia is one of the only three countries in the world known to maintain the death penalty for people who allegedly committed crimes as children, along with Sudan and Iran. Adam Coogle, CNN (25 September 2015). The fifth century BCE historian Herodotus claimed not only that the Persians were very fond of wine, but that they routinely made important decisions while drunk on it. According to Herodotus, the day after such a drunken deliberation, the Persians would reconsider their decision and if they still approved, adopt it. This is, to put it mildly, a highly unlikely image of a group of people who were able to carve out one of the largest empires in antiquity and sustain it for two centuries. Are we to think that they just got lucky over and over again when they were drunk out of their minds? This is certainly the view that the Greeks promoted and Iranian irrationality remains a topos in Western culture... But if one looks at the internal Iranian evidence, for example Zoroastrian texts, a new image of the importance of wine in classical Iran emerges. The most interesting of these texts is one called The Spirit of Wisdom from the sixth century CE. One chapter discusses how wine can bring one's good and bad dispositions, and argues that those who drink it in moderation benefit in enhanced awareness and intellectual facility: "this that is forgotten will be remembered and goodness will take place in thought and it will increase the sight of the eye and hearing of the ear and the speech of the tongue, and doing work and managing will proceed faster." Relative temperance, however, is emphasized. "But anyone who drinks wine must be conscious to drink in moderation, since through moderate drinking of wine this much goodness will come to him, because food will be digested and kindle fire [of the body], and increase intelligence and the mind and seed and blood, and reject torment." Saudi Arabia, Iran, North Korea, and Somalia are the only countries in the world that still execute people in public. Jeanine Di Giovanni, "When It Comes To Beheadings, ISIS Has Nothing Over Saudi Arabia" (24 October 2014), Newsweek. The American people have the greatest respect and admiration for the Iranian people. Your Kings from Cyrus and Darius are known among those famous monarchs who have advanced the cause of humanity. Your scientists have contributed to the foundations on which we have built our industrial society. Your philosophers and poets have enriched the culture of the west. Dwight D. Eisenhower, as quoted in "Toast by the President at a Luncheon Given in His Honor by Shah Mohammad Reza Pahlavi" (December 14, 1959), as quoted in "Online", by Gerhard Peters and John T. Woolley, The American Presidency Project. Iran's civilization and culture has become imbued and infused with humanitarianism, respect for the life, belief and faith of others, propagation of tolerance and compromise and avoidance of violence, bloodshed and war. The luminaries of Iranian literature, in particular our Gnostic literature, from Hafiz, Mowlavi [better known in the West as Rumi] and Attar to Saadi, Sanaei, Naser Khosrow and Nezami, are emissaries of this humanitarian culture. Shirin Ebadi, in Nobel Lecture, Nobelprize.org (10 December 2003). Over 100,000 Jews lived in Iran prior to the 1979 revolution... Many left right afterward, and the population has slowly declined ever since. Jewish leaders estimate there are between 12,000 and 30,000 Jews here today, making Iran's the second-largest Jewish population in the Middle East after Israel. But those who have chosen to stay in Iran have a long history of opposition to hawkish Israeli governments. Many consider themselves Jews but not Zionists. The Islamic Republic of Iran allows freedom of worship for Jews and Christians... [Unlike] some other countries in the region and in Europe, Jewish temples in Iran have not been attacked... But institutional restrictions on Jews remain... They are not able to get certain government jobs reserved for Muslims and are banned from serving as professional soldiers, although they face conscription like other Iranians. Where are your valiant warriors and your priests? Where are your hunting parties and your feasts? Where is that warlike mien, and where are those? Great armies that destroyed our country's foes? . . . Count Iran as a ruin, as the lair of lions and leopards! Look now and despair! Ferdowsi, as quoted by Reza Aslan in "The Epic of Iran", The New York Times (30 April 2006). Kaiumers first sat upon the throne of Persia, and was master of the world. Iran has a long history. People of the world can learn much from the portrayal of Iranian civilization by the Iranian arts over such a long period of time. Paul Sheldon Foote, as quoted in "Iranian culture in the Eyes of Americans" by Moj News Agency (2007). Most of the cultures of Asia identify with Iran on some level, much as Westerners do with Greece and Rome. The White House has yet to fully address why an Iranian government, when it receives the estimated $150 billion windfall from unfrozen assets that’s to follow sanctions relief plus the benefits of reopened trade, will not significantly increase its terror-sponsorship in the short term. Nicholas M. Gallagher, "Iran Unbowed: State Dept: Iran Still a Leading Terror Sponsor", The American Interest, (23 June 2015). Everything I learned about Iranians, I learned working in the pool room. I met a lot of liars, and I know Iranians are liars. Lindsey Graham, as quoted in "Republican conference: Day two - Bush 'proud' of family" (22 May 2015), by Anthony Zurcher, BBC News, United Kingdom: British Broadcasting Corporation. One of the signs of Iran's underdevelopment is the culture of rumor and paranoia that attributes all ills to the manipulation of various demons and satans. And, of course, the long and rich history of British imperial intervention in Persia does provide some support for the notion. But you have no idea how deep is the primitive belief that it is the Anglo-Saxons—more than the CIA, more even than the Jews—who are the puppet masters of everything that happens in Iran. Christopher Hitchens, Persian Paranoia: Iranian leaders will always believe Anglo-Saxons are plotting against them, Slate (June 22, 2009). Richard A. Horsley, Religion and Empire: People, Power, and the Life of the Spirit (2003), pp. 68-69. In Iran, a top government official recently said that torture followed by death is the appropriate punishment for being gay. There are approximately 100,000 clerics in Iran and over 60,000 of them are in Qom. Most of them are theology students who have been studying there for many years, between 10-25 years on average.... Every student has to study a minimum of 25 years before he can attain the status of ‘ayatollah’, however most students spend 10 years studying in the hawza. Mohsen Kadivar Inside Iran: Hujjat al Islam Mohsen Kadivar April 2007. 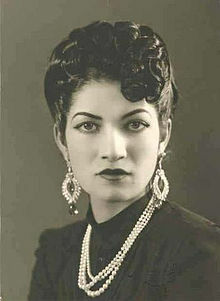 I come from the noble land of Iran, representing a great and renowned nation, famous for its age old civilization as well as its distinguished contribution to the founding and expansion of the Islamic civilization; a nation that has survived the strong winds of despotism, reactionism and submission, relying on its cultural and human wealth; a nation which pioneered in the East the establishment of civil society and constitutional government in the course of its contemporary history, even though as a result of foreign interference and domestic deficiencies, at times it may have faltered in its course; a nation which has been at the forefront of the struggle for independence and against colonialism, though its national movement was subverted by a foreign- orchestrated coup. And, a nation which carries the torch of its popular revolution, not won by force of arms or a coup, but by dethroning of the regime of coup d'etat through the power of "word" and "enlightenment". In the course of its new experience, our nation has endured eight years of an imposed war, pressure, sanctions and various allegations. It has also fallen victim to terrorism, this ominous and sinister phenomenon of the twentieth century. Bernard Lewis, Archived copy. Archived from the original on 2007-04-29. Retrieved on 2007-04-03. The few and the wealthy of many nations are no longer constrained by rules that categorize civilized and enlightened behavior toward other nations such as Venezuela and Iran. Whereas now Iranian cinema shows the Iranian people to the world. The US has tried very hard to make an entire people out to be terrorists. The Iranian cinema tries to say that the Iranian people are very warm and poetic people. Mohsen Makhmalbaf, as quoted in "Gabbeh and A Moment of Innocence: two films directed by Mohsen Makhmalbaf", WSWS (23 September 2006). Iranian leaders regularly pray for America's death. We currently tolerate this hatred because we don't seem to fear its consequences. [[James D. Miller], "An Empire? You ain't Seen Nothin' Yet" (14 April 2004), Tech Central Station. As an Iranian Jew raised in Tehran, educated in the United States, and a frequent visitor to Israel, the nuclear deal with the Islamic Republic of Iran has pulled me in different directions. Like many Iranians, I am thankful that – at least for now – my country of birth will be spared a military attack. As a naturalized American, I am keen to avoid another costly entanglement in the abyss that is called the Middle East. But as a Jew? This is where my loyalties seem questionable to the large Iranian-American Jewish community, which avidly supports the state of Israel. As a Jew I am expected to condemn any accommodation with a regime that denies the holocaust and routinely calls for the destruction of the Jewish state. As a Jew I am steadfast in my defense of the country that is resolute in its defense of the Jewish cause. As a Jew I tread with caution. As an Iranian I march with hope. I understand and appreciate this dichotomy. Being a Jew was never easy in a Muslim country. Like Esther and Mordechai and the feast of Purim, our story has had biblical dimensions of miracles and misfortunes. Iranian Jews were emancipated by Cyrus the Great and alternatively integrated or persecuted by successive Persian dynasties that spanned 2500 years.But they mostly persevered, adopted the language and the customs, and made indelible contributions to one of the most beautiful cultures in the world. The large Iranian-American Jewish community in the United States, whose population is estimated to be close to 120,000, still speak, read, and write Farsi, celebrate Persian holidays, and reminisce about the “good old days before the revolution”. But even as they yearn for a free Iran, they do not see themselves as part of its future. Iran is no longer Persian, they say. It has become a strange hybrid Arab country that threatens the existence of Israel. In that vein, any threat, real or perceived, prompts an emotional response in my community on a par with receiving catastrophic news. In fact, any news short of a complete change to liberal democracy is considered unacceptable. But western-style democracy has eluded Iran for centuries, and the reality is that the nuclear train has already left the station. The best the world can do is to put mechanisms in place that may alter the behavior of the regime, in the hope of gradual normalization of relations between Iran and the west. Is it guaranteed? Absolutely not. Is it worth a try? Yes. Iran is the land of lofty mystics and a treasure of spirituality. Majd Nasseri, as quoted in "Iran Helping Turkey Organize Rumi Confab", Iran Daily (17 March 2007). Revolution in Iran happened because the people of Iran wanted democracy and freedom and an end to the constant foreign intervention in the country's affairs, and Khomeini promised to deliver all they wanted. They looked up to him, as he had strongly stood up against the Shah and had refused to back off. Most of his supporters, whether secular or religious, were not aware that he was planning to leave the power in the hands of one high-ranking cleric to basically govern the country. Khomeini and his advisors rewrote their proposed constitution, which was based on Islamic laws. Soon, the newspapers that had in any way criticized Khomeini and his plans were shut down, and those protesting the closings were attacked. Opposition groups were banned ... Iran is a country that is suffering from the Post Traumatic Stress Disorder, and the trauma that has caused this condition continues... It would be logical to say that Iran’s bubble has to burst, and it has to burst on its own and not through foreign intervention. I’m sure that as you read some of Iran’s history during the last few pages, you have come to see that, sooner or later, foreign intervention leads to catastrophe. It is different, for example, when a country falls into civil war and the United Nations has to move in to save lives... Bombing Iran would be the wrong way to burst the bubble. Democracy is not a sudden event; it is a long process which cannot be rushed. In a way, Iran has had to go all the way back and replay the parts of its history from which it had been robbed. The way Reza Shah pushed Iranians and made the women take off their hejabs and tried to take religion out of people’s lives when they were not ready for it was doomed to have severe consequences, which we witnessed after the Islamic revolution. Marina Nemat, Democracy in Iran? Will we ever see the day?. Iran was in war with Iraq for 8 years, and Ayatollah Khomeini tried to topple Saddam, but he failed. Then, a few years later, in 2003, the U.S. entered Iraq and got rid of Saddam, but it got tangled in a never-ending conflict that turned Iraq into rubble and killed thousands of innocent Iraqis. Who is the winner of this terrible war? In my humble opinion, it is the Iranian regime, because with Saddam gone, they have tried to encourage an Islamic Republic in Iraq, which is the only other country with a majority Shia population in the region, and if this becomes reality, it could turn Iran into a huge power in the region. Actually, the U.S. invasion of Iraq greatly damaged the opposition in Iran, as now anyone who criticizes the Iranian regime is accused of asking for a U.S. invasion of Iran and working for the CIA. So one of the undisputable side effects of this war has been the strengthening of the government of Iran... Is democracy possible in Iran? Yes, it is. For many years, the people of Iran have wanted democracy, but they have been sabotaged not only by foreign powers but also by their own leaders. Now, the only way to find democracy would be to allow it to complete its process. And this process can speed up if the people of Iran take a hard look at their history, acknowledge and study its horrors, and try to learn from it. Even though foreigners have intervened in our affairs, we cannot throw all the responsibility onto their shoulders. The opposition in Iran is scattered and disorganized. Most opposition groups hang on to old ideologies that have become obsolete, and they refuse to see that an ideology driven leadership is not what the country needs. We need a government with strong ethical codes to protect all Iranians, including minorities, and in order to have such a government, we need a constitution that can support it. But how can we get there? Iran is a very young country... Violence should remain the last resort in bringing democracy to Iran. Enough innocent people have died... Gandhi led his country to independence through non-violent civil disobedience, and if this was possible in India, it is also possible in Iran. As dangerous as a nuclear-armed North Korea is, it pales in comparison to the danger of a nuclear-armed Iran. A nuclear-armed Iran in the Middle East wouldn't be another North Korea. It would be another 50 North Koreas. Benjamin Netanyahu, address to the United Nations General Assembly (2013). Our differences are real, and the difficult history between our nations cannot be ignored. But it is possible to change. The path of violence and rigid ideology, a foreign policy based on threats to attack your neighbors or eradicate Israel—that’s a dead end. A different path, one of tolerance and peaceful resolution of conflict, leads to more integration into the global economy, more engagement with the international community, and the ability of the Iranian people to prosper and thrive. Barack H. Obama II, "Statement by the President on Iran" (14 July 2015). Iranian society is multi-ethnic and multi-religious and blessed with a rich culture. All the national and religious identities of the Middle East can be found there. This diversity is in contrast to the hegemonic claim of the theocracy, which cultivates a subtle religious and ethnic nationalism; the ruling class does not shrink back from anti-modernist propaganda whenever it serves their interests, although they implement capitalist modernity. Only Iran, in fact, still holds out the promise of sustaining Obama's initial hopes for a fresh start with Muslims. Michael Oren, "How Obama Opened His Heart to the 'Muslim World': And got it stomped on. Israel's former ambassador to the United States on the president's naiveté as peacemaker, blinders to terrorism, and alienation of allies. ", Foreign Policy (19 June 2015). Iran is not North Korea. It's far worse. Pyongyang's dictators never plotted terrorist attacks across five continents and in thirty cities, including Washington, D.C. Tehran's Ayatollahs did. North Korea is not actively undermining pro-western governments in its region or planting agents in South America. Iran is. And North Korea, unlike Iran, did not kill many hundreds of U.S. soldiers in Iraq. Michael Oren, "Why Israel Won’t Be Celebrating the Iran Deal", Time (14 July 2015). Foreign travellers in Iran, not only recently but in previous generations, have observed that some of our citizens habitually lie … In our culture, steeped in history as we are, some liars actually try to explain and justify their behaviour by referring back to past national catastrophes. For example, they will tell you, when Mongol hordes overran the country, lying was the price to pay for personal survival ; and that gave us the habit of mendacity. Whatever its merits as an historical explanation, this point of view certainly offers a pitifully weak justification for today's liars. Muhammad Reza Pahlavi (1961) Mission for my Country, London, pp. 246-247. Taking Iran's history as witness, I declare that we, the Pahlavi Dynasty, nurse no love but that for Iran, and no zeal but that for the dignity of Iranians; recognise no duty but that of serving our state and our nation. As the commander of this monarchy, I make a covenant with Iran's history that this golden epic of modern Iran will be carried on to complete victory, and that no power on earth shall ever be able to stand against the bond of steel between the Shah and the nation. We shall never again be caught unawares. The nation and the Imperial Arrned Forces, which come from the ranks of the people and derive their power from our inexhaustible national resources, are alert day in and day out to protect their country. No foreigner or his agents will ever have the chance to penetrate the unshakable structure of our national sovereignty because Iran's destiny is now shaped by Iranians and for Iranians - and this shall always be the case. I envisaged future generations of Iranians proudly taking their rightful place among the vast family of nations, and fulfilling their responsibilities with dignity. I hoped to see dispelled for ever the medieval shadows from which Iran had emerged only half a century ago, and that the light which is the very essence of Iranian civilization and culture would prevail. Throughout my reign, I lived only for the realization of this dream which was beginning to become reality. It will be seen that I worked tirelessly and keenly to this end. I had ceaselessly to struggle against all sorts of obstacles and difficulties. I had to confront innumerable plots and intrigues both inside the country and abroad. I combated the all-powerful, multi-national trusts and cartels when all my advisers warned me against such challenges. I may have made mistakes, of course, but this long battle was not one of them. I found that many Americans did not even know that a country named Iran existed, let alone what it was like. Even among the diplomatic corps and among well-educated people, there was a vagueness about who the Iranians were or what the culture was, a tendency to confuse Iran with Iraq or to mistakenly assume that Iran is an Arab country simply because it is an Islamic nation. This fuzziness about the world outside is unique to America; among the intelligensia of European countries, for example, there is generally a higher level of awareness and information regarding cultures other than their own. As I flew over the Shahyad monument, I saw that one corner was completely dark. A moment later I realized this black mass was a mass of Iranian women, women who had achieved one of the highest levels of emancipation in the Middle East. Here they were in the mournful black chador their grandmother had worn. My god, I thought, is this how it ends? Persia’s backward conditions were relics of social traditions ... and the women for that matter weren’t ready to exchange the protection they had traditionally enjoyed for the unknowns of a new social status. There is a name missing from that Al Jazeera report (on the 40th anniversary of the 1979 Iranian revolution)...That name is Mohammad Mosaddegh, the democratically elected prime minister of Iran... deposed and imprisoned at the behest of powerful interests by Dwight Eisenhower and Winston Churchill over access to Iranian oil. Western politicians and the mainstream journalists... shy away from the name Mosaddegh, for his name is an incantation summoning the bloody specter of blowback and the carnage that comes whenever the game of thrones is played for petroleum... “Mosaddegh” is a condemnation, a warning, and a lesson yet to be heeded by those in Washington, D.C., who believe their power and wealth means they can outrun consequences. Those 40 years of failure belong to the United States and Britain, to actions taken 66 years ago by politicians who also believed they could run through the raindrops as they played God for profit with the lives of others. The suffering of the Iranian people has “Made in the USA” and “God Save the Queen” stamped across it, a history lesson inked in blood. Remember the name Mohammad Mosaddegh the next time you hear a politician or businessman talk about bringing freedom somewhere. Like as not there’s a buck to be turned, and the bodies will be buried where they drop. All the oil money in the whole wide world cannot outrun consequences. The relationship between Iran and the United States is a complicated and difficult question. There is a chronic wound, which is difficult to heal. However, it is not impossible provided there is goodwill and mutual respect between the two countries. We need to make it unmistakably clear that we will do whatever it takes, for however long it takes, to defeat radical Islamic terrorism. We will punish — we will punish their allies, like Iran — and we will stand with our allies, like Israel. Marco Rubio, Conservative Political Action Committee speech, 2010-02-19. Iran has more state-sanctioned executions per capita than any other country in the world, and over half those executed are drug traffickers. But the drug problem in Iran is so vast that it exposes the futility of draconian measures. Setareh Sabety, "Slaughterhouse review - an honest portrayal of Iran's drug problem", The Guardian (30 October 2015). All of us are Iranian and wherever and in whatever post we are should try to elevate status of our dear country. They respect the value of my worth in Maui, Malaysia, Iran, and Iraq. Saudi Arabia! If the supply of virtue is insufficient in a free society like America, it is almost nonexistent in an un-free society like Iran's. The reason is that coerced virtues are not virtues at all. Consider the woman who is required to wear a veil. There is no modesty in this, because she is being compelled. Compulsion cannot produce virtue, it can only produce the outward semblance of virtue. With the way the world’s going a nuclear Iran is going to be the least of our problems in 10 or 15 years. Iranian nukes will be a break from swimming through our climate-change flooded cities fighting ebola zombies with our teeth because we can’t hold guns thanks to our iPhone-shaped hand tumors. John Stewart The Daily Show 21 July 2015. In Iran, the walls of homes are transparent and the halls of justice are opaque. This ‘morality’ campaign shows how fragile respect for privacy and personal dignity is in Iran today. The Persians ruled for a thousand years and did not need us Arabs even for a day. We have been ruling them for one or two centuries and cannot do without them for an hour. Sulayman ibn Abd al-Malik (717) in Bertold Spuler. The Muslim World. Vol. I The Age of the Caliphs. Leiden. E.J. Brill. 1960 ISBN 0-685-23328-6 p. 29. If we regard Iran as a nation, there is no reason it shouldn’t have correct relations with the United States or any other country. Decades of opinion polls show that a majority of Iranians have a good opinion of America. But Iran today suffers from a split personality: It is both a nation and, as the Islamic Republic, also a messianic cause. And the Islamic Republic of Iran, far from being part of the solution, is at the root of the conflict tearing the Middle East apart. It has built Shiite militias in Lebanon, Syria and Iraq, not to mention Afghanistan, with the aim of “exporting” its Khomeinist ideology. The mullahs’ quest for an empire has provoked violent reaction from Sunni Arabs and enabled terrorist outfits such as al Qaeda in its many versions, including ISIS, to find a new audience and a narrative of victimhood. As long as Iran remains a “cause,” it can’t normalize relations with anybody, let alone America. Coexistence among nations is not the same as that among causes... What normal country has three former presidents, Hashemi Rafsanjani, Muhammad Khatami and Mahmoud Ahmadinejad, who can’t obtain passports to travel abroad? And dozens of former high officials in jail, plus an ex-prime minister, Mir-Hussein Mussavi, and a former speaker of parliament, Mehdi Karrubi, under house arrest without charge? Amir Taheri, "Have the Mullah's Abandoned their Dreams of Empire? ", Elaph.com, (November 16, 2014). In Iran, no-one can ignore the tragic record of the revolution. Over the past three decades some six million Iranians have fled their homeland. The Iran-Iraq war claimed almost a million lives on both sides. During the first four years of the Khomeinist regime alone 22,000 people were executed, according to Amnesty International. Since then, the number of executions has topped 80,000. More than five million people have spent some time in prison, often on trumped-up charges. In terms of purchasing power parity, the average Iranian today is poorer than he was before the revolution. De-Khomeinization does not mean holding the late ayatollah solely responsible for all that Iran has suffered just as Robespierre, Stalin, Mao, and Fidel Castro shared the blame with others in their respective countries. However, there is ample evidence that Khomeini was the principal source of the key decisions that led to tragedy... Memoirs and interviews and articles by dozens of Khomeini’s former associates—including former Presidents Abol-Hassan Banisadr and Hashemi Rafsanjani and former Premier Mehdi Bazargan—make it clear that he was personally responsible for some of the new regime’s worst excesses. These include the disbanding of the national army, the repression of the traditional Shi’ite clergy, and the creation of an atmosphere of terror, with targeted assassinations at home and abroad. Khomeini has become a symbol of what went wrong with Iran’s wayward revolution. De-Khomeinization might not spell the end of Iran’s miseries just as de-Stalinization and de-Maoization initially produced only minimal results. However, no nation can plan its future without coming to terms with its past. Amir Taheri, "Opinion: Iran must confront its past to move forwards", Ashraq Al-Awsat (February 6, 2015). For some 12 centuries poetry has been the Iranian people’s principal medium of expression. Iran may be the only country where not a single home is found without at least one book of poems. Initially, Persian poets had a hard time to define their place in society. The newly converted Islamic rulers suspected the poets of trying to revive the Zoroastrian faith to undermine the new religion. Clerics saw poets as people who wished to keep the Persian language alive and thus sabotage the ascent of Arabic as the new lingua franca. Without the early Persian poets, Iranians might have ended up like so many other nations in the Middle East who lost their native languages and became Arabic speakers. Early on, Persian poets developed a strategy to check the ardor of the rulers and the mullahs. They started every qasida with praise to God and Prophet followed by panegyric for the ruler of the day. Once those “obligations” were out of the way they would move on to the real themes of the poems they wished to compose. Everyone knew that there was some trick involved but everyone accepted the result because it was good. Despite that modus vivendi some poets did end up in prison or in exile while many others spent their lives in hardship if not poverty. However, poets were never put to the sword. The Khomeinist regime is the first in Iran’s history to have executed so many poets. Implicitly or explicitly, some rulers made it clear what the poet couldn’t write. But none ever dreamt of telling the poet what he should write. Amir Taheri, When the Ayatollah Dictates Poetry, Ashraq Al-Awsat (11 July 2015). In the Islamic Republic... Mossadegh, far from being regarded as a national hero, is an object of intense vilification. One of the first acts of the mullahs after seizing power was to take the name of Mossadegh off a street in Tehran... Bush paid little attention to Iran. Nevertheless, in his second term he, too, tried to persuade the mullahs to modify their behavior. His secretary of state, Condoleezza Rice, sent an invitation, not to say a begging note, to the mullahs for “constructive dialogue.” They responded by stepping up the killing of US soldiers in Afghanistan and Iraq by local surrogates... Before the revolution, Shiraz, with its breathtakingly beautiful architecture, was a city of gardens, wine and music with an annual international art festival. How could one not love Iran through it? Today, however, Shiraz... is a scene of public hangings and floggings, with its prisons filled with political and religious dissidents... The Islamic Republic has been top of the list in the world for the number of executions and political prisoners. Amir Taheri, What US leaders have never understood about Iran, New York Post (19 July 2015). As a nation-state, Iran has no problems with anybody. As a vehicle for the Khomeinist ideology it has problems with everybody, starting with the Iranian people. The Khomeinist regime makes no secret of its intense hatred for Iranian culture, which it claims has roots in “the age of ignorance” (jahiliyyah). To admire this regime because of Iranian culture is like admiring Hitler for Goethe and Beethoven and praising Stalin for Pushkin and Tchaikovsky. This regime has executed tens of thousands of Iranians, driven almost 6 million into exile, and deprived the nation of its basic freedoms. It has also killed more Americans, often through surrogates, than al Qaeda did on 9/11. Not a single day has passed without this regime holding some American hostages. Iran as a nation is a solid friend of America. Iran as a vehicle for the Khomeinist revolution is an eternal enemy of “The Great Satan.” The only realistic strategy for the United States would be to help it stop being the Islamic Republic and become Iran again. President Obama’s policy, however, points in the opposite direction. He has made it harder for the Iranian people to regain their human rights. I said, “Don’t hit Iraq,” because you’re going to totally destabilize the Middle East. Iran is going to take over the Middle East, Iran and somebody else will get the oil, and it turned out that Iran is now taking over Iraq. Think of it. Iran is taking over Iraq, and they’re taking it over big league.